From time to time, I write tutorials on how to do specific things in Cinema 4D, Adobe Illustrator, or Adobe Photoshop. If you check out my links page you will see that there are a lot of resources and tutorials for Cinema 4D on the internet. I won't be doing general tutorials on the modeling tools, or how to build a human head out of a box, or things like that — there are lots of tutorials online already that cover those topics and I don't want to compete with them. My focus is on covering the little details or thoroughly experimenting with, and exploring specific parts of Cinema 4D. When I am called upon to do some crazy lighting setup or achieve a certain surface effect on a project at work, I am ready because I have already experimented with the program and can attack the new challenge quickly, knowing what to do, and what not to do. Once I have figured out the "caramilk secret" for a particular challenge, I write it up in a tutorial. The act of writing a tutorial for Cinema 4D helps solidify the concepts involved in my mind — its a part of my own learning process. If the topics of the tutorals seem random, it because my mind is always bouncing around, seeking new boundaries in Cinema 4D and figuring out workarounds. I hope you benefit from reading these Cinema 4D tutorials as much as I have from writing them. 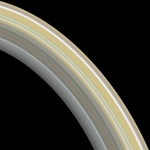 "I have received several emails asking how to use the ring textures for planets like Saturn or Uranus. The method is simple, but not very intuitive. This will be a quick lesson in how to use the Bend modifer. " "Skin has a particular quality that sets it apart from ordinary surfaces - it is luminously translucent. That means that in addition to the light that reflects off the skin's surface, light bounces around the layers of flesh below the skin, illuminating it from the inside. This effect is widely called "Subsurface Scattering", or SSS for short, and is a property of a number of translucent materials - wax, plastic, milk, and marble, to name a few. " "With the new City Lights map found on my Earth map page, you can add the extra detail and realism of city lights as seen from space. 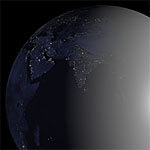 A special texturing tip is presented here to help you ensure that the lights are only visible on the night side of the planet." "In the first part of this tutorial, we saw that we can get excellent results from Cinema 4D's Global Illumination render in as little as half the time by tweaking the rendering parameters. In the second part of this tutorial, I am going show you an alternative to using Global Illumination that will also yield excellent results in even less time." "One of the most realistic ways to present a model in Cinema 4D is through the use of global illumination. This allows shadows to pool naturally and highlights the object's surface structure and detail in an ideal way. The problem is that there are a lot of parameters to consider when setting up a global illumination render. Sometimes the results you get from changing a parameter can be counter-intuitive. 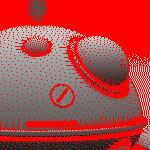 And test renders can take a really long time when you are tweaking parameters you only half understand. " "Many of Cinema 4D's object modifiers contain bevel attributes (called "fillet cap" in the program). These do the job adequately most of the time. 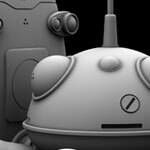 However, there are some circumstances where you need more control over how the object edges are bevelled, or you need to use a particular font which, no matter what you try, gives you unfortunate results with Cinema 4D's default tools." 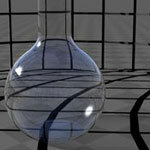 Glass - how to create photo realistic glass in Cinema 4D. 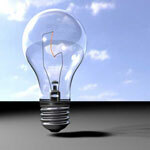 "Glass can be a difficult material to capture correctly in a 3D program. Ordinary glass presents us with extremes in nearly every surface attribute. Hard specularity, transparency, reflection, refraction – glass has it all." 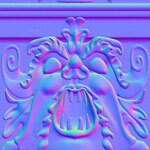 Normal Maps - how to use Cinema 4D to prepare video game textures and normal maps. "While a height map only contains 1 plane of information - the "Z" (height) plane, a normal map contains 3 vectors of information - "X" direction, "Y" direction and "Z" direction. Thus, each pixel in a normal map encodes which direction that particular point is facing - the "normal vector" of the surface." Reproducing Real World Light - how is a tungsten light colored relative to an overcast sky? Find out. "The human visual system is very good at "white balancing" what we look at. As long as the scene we are viewing contains a continuous spectrum of colors, we interpret the light as "white". In reality, the incandescent light we light our homes with is quite orange. Daylight is very blue." 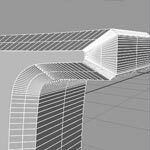 "This tutorial is not aimed at beginners to C4D - it assumes that you know how to use the poly modelling tools and how to navigate the various attribute panes in the program. A fellow emailed me asking how to do the base of a lightbulb, as seen in a couple of my renderings, so I thought this would make a good subject to introduce a few concepts."